Next generation AI enabled digital marketing platform. Brings together all customer data on one platform. Enables rapid, timely relevant individual customer interaction seamlessly across all channels. Specifically designed for the retail sector. Mutuality tracks the individual customer journey across all touch points/channels. Captures every individual customer touch across all connected devices and every channel, every store, every SKU etc. ‘smart trackers’ capture data from web site and e-commerce platform. Data from all touch points is collected and resides on one single platform making it refreshingly simple to operate. Collect customer demographics, attach any number of individual customer attributes (dynamic table), add tags i.e. to attach a discrete set of customers to a store, customer class, brand etc. Couple up with individual journey and purchase history. Track individual behaviour, AI provides marketers with deeper knowledge of consumers and prospective clients. Deliver relevant, timely communication and offers based on individual persona, journey and history. Relevancy in marketing is key to brand loyalty and lifetime value. Launch campaigns across all channels including social media from the single Mutuality platform. 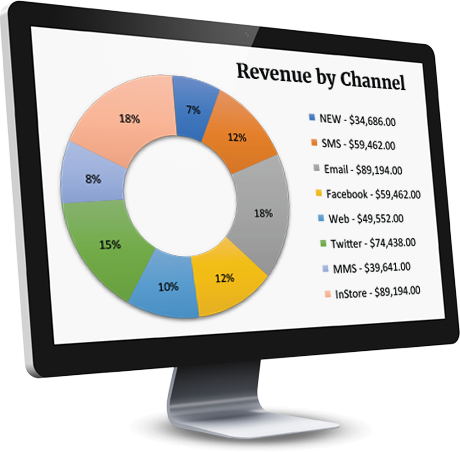 Manage and measure campaigns in near real time by channel, store, product etc. Evaluate the impact and ROI of individual campaigns in near real time. Analyse a campaign result across all channels via a single page easy to read schematic. Attach discrete customer databases to individual stores, brands, franchises, etc Run varied campaigns, marketing programs concurrently by store, brand, locality etc and measure in near realtime. Manage multiple brands whether national or international through a single platform centralized system. Leverage the power of digital in store. POS capabilities combined with Mutuality platform enables a true, unified, omni-channel retail platform. Connect to existing systems. All data elements at ones fingertips to enable any type of loyalty program/s. Integrates with any current loyalty program. With AI, marketers know exactly what consumers are thinking, saying, and feeling about a brand. Easy to use. Designed for marketers and non-IT personnel. Marketers architect the customer experience. Offered on IBM Bluemix Cloud on a monthly service fee basis. © 2019 Mutuality Software. All rights reserved.